It took Dori and I two days to walk the Portuguese Way of St. James from Caldas de Reis to Santiago de Compostela with an overnight stop near Padrón. You could, however, split these 43-45 km into three stages if you want to arrive in Santiago feeling relatively refreshed or get there in time for the midday pilgrim mass. As the end of our epic journey drew ever closer and the numbers on the distance markers got smaller and smaller we felt buoyed up, not to mention proud of ourselves and a little amazed given the concerns we’d had about our bad backs. Here’s how our final two full days of walking the Camino Português went. The centre of Caldas de Reis is tiny so although the waymarkers seemed elusive, there’s only really one way to go. Once past the church of St. Thomas Becket we headed towards the medieval bridge over the River Bermaña, worth a pause to admire its attractive setting. After leaving the town behind, we walked through the beautiful green countryside of the Bermaña valley with its meadows and woodland. It was so delightful we barely noticed the gentle climb. Tip: When you get to the N550 at Carracedo (about 5 km from Caldas) stop at Café Esperon for their excellent tortilla. Past the 18th century church of Santa Mariña de Carracedo it’s uphill once more and into the shade of the Valga woods. 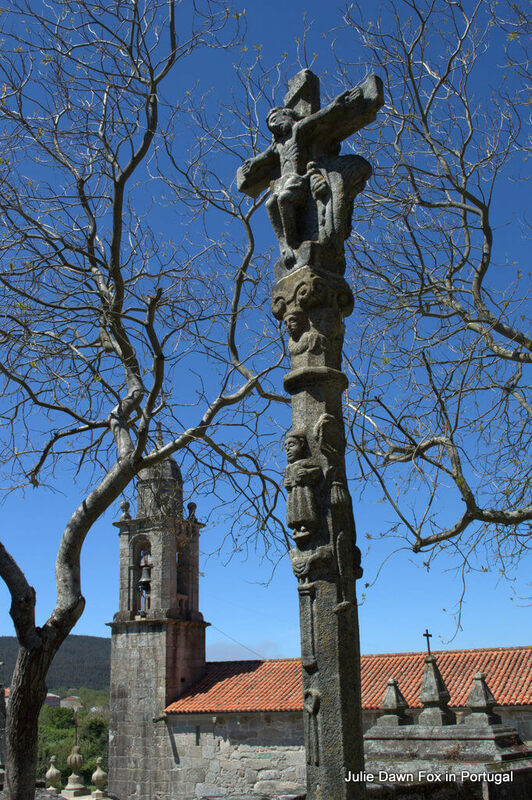 The first village after the forest is São Miguel de Valga, where pilgrim motifs abound. A string of hamlets and peaceful rural paths later and we found ourselves in the less than lovely village of Infesta, home to the Romanesque church of San Xulián de Requeixo. I particularly liked the carved cross outside the church and the accompanying information board which explains the iconography. We crossed another bridge of Roman origin then followed the River Sar until it took us into Padrón via the market square and tree-lined avenue. Padrón is said to be the place where the boat bearing the body of Saint James the Greater from Jerusalem landed. 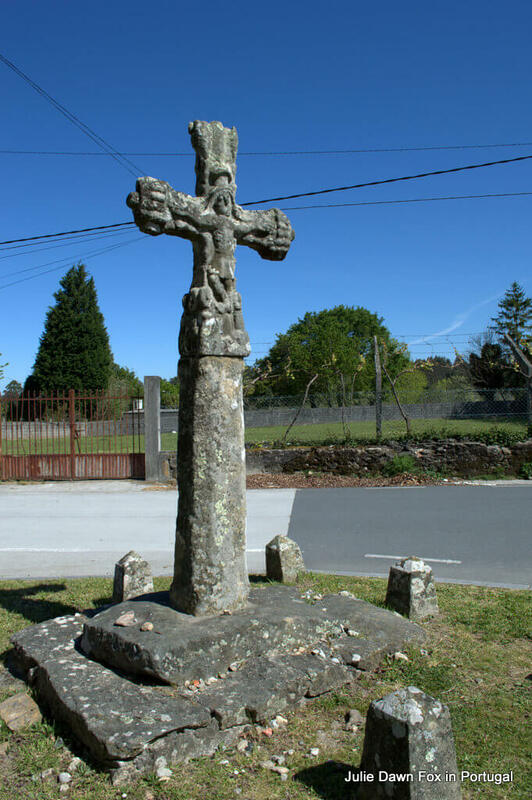 The stone to which the boat was tied, O Pedrón, gave the town its name and is still protected by the church of St. James that was built around it. The church was closed when we were there but if you get the chance to go inside, ask to see the stone when you visit. Across the bridge you’ll find a sculpture depicting this event at Fuente do Carmen as well as other motifs around the medieval streets and café-filled squares of the historical centre. We hadn’t realised until that day that our accommodation was actually a couple of kilometres beyond Padrón and it was hard to tear ourselves away from it’s charms to trudge to our hotel, especially as it was on the busy N550 road. The only advantage was that we didn’t have quite as far to walk for our final day. Having looked at the elevation profile, read the descriptions and spoken to other pilgrims, I was not looking forward to the last 23 km that separated us from Santiago de Compostela. Happily, it was nowhere near as steep or industrial as I had feared and we spent much of the day in green countryside. The first few kilometres took us through traditional Galician hamlets where residents were ploughing and planting their potato fields by hand and tall grape vines trailed up posts. The reward for climbing uphill from Faramello was an enormous tree with a bench beneath, opposite a 14th century stone cross. 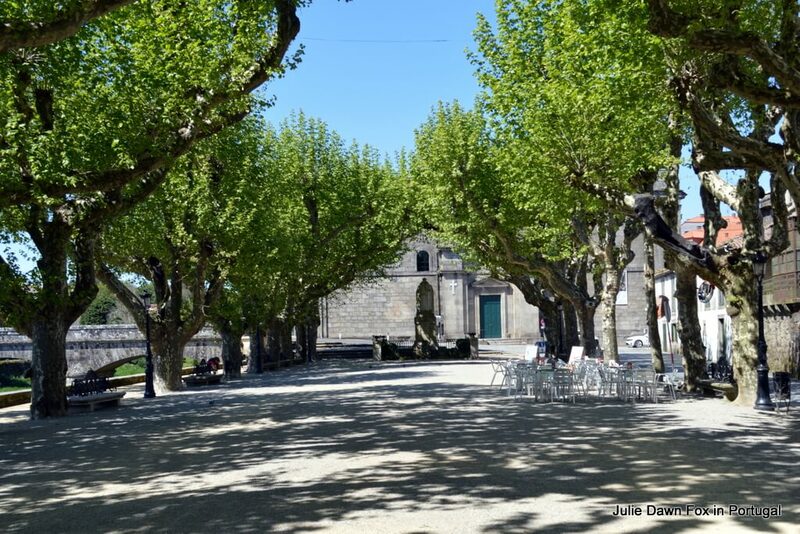 The village of Parada dos Francos, a little further along, has a small picnic area among the oak trees in the site where St. Martin’s Fair has been held each November since the 16th century. My favourite stretch of woodland came shortly after this and took the sting out of walking uphill. The biggest disappointment of the day was that within 10 km of Santiago, all the distances had been removed from the waymarkers – I had been looking forward to the countdown with childish glee and felt robbed of this pleasure. You also have a choice to make just after the bridge: stick to the original route and slog up a steep hill or bear right through the trees for a more gentle approach to the city. We went right. Waymarkers all but disappear when you enter the city so keep your eyes peeled. When we finally found the historical centre and Porta de Faxeiras, the traditional entry to the city from the Portuguese Way, we knew we had almost made it. The cathedral, despite being partly clad in scaffolding and blue netting, is an architectural masterpiece. We didn’t go straight in, wanting to rest first and get cleaned up before entering. Instead, we admired it from the outside and posed for a couple of photos then headed for the nearest café for a celebratory beer. As we watched as other weary walkers made their way into Obradoiro square, we spotted other pilgrims we’d met time and time again along the Way. Being able to share the sense of achievement with more than just each other definitely added to the experience. As an atheist, I was uncertain as to whether or not I would qualify or should ask for a compostela certificate, despite having walked double the minimum distance of 100 km. I deliberated over which reason to give for doing the Camino de Santiago and plumped for ‘tourist reasons’, which isn’t good enough for a compostela. 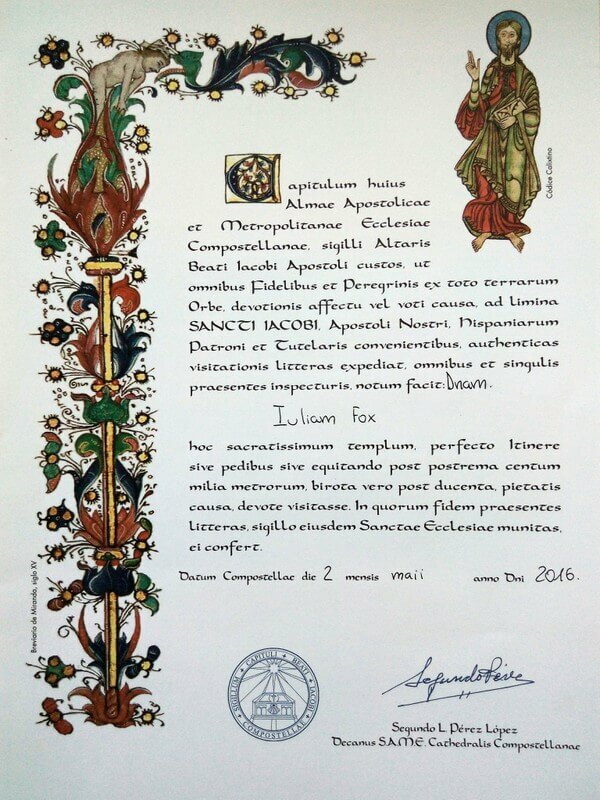 However, the official had already started writing out a compostela with my Latin name on it so he told me to change my answer to ‘spiritual reasons’ and I now have an official and rather attractive document to show for my efforts. Santiago Cathedral dates back to the 11th century and has evolved through a number of architectural styles. The most obvious and ostentatious being the fanciful Baroque façade of O Obradoiro. Once it’s all restored to its former glory, it will be even more impressive to behold. The Entrance of Glory (Pórtico da Gloria) was out of bounds for renovation but we were able to see the caged crypt where St. James’ remains are kept and joined the queue to see the Romanesque sculpture of him that presides over the main altar. I had heard about the gigantic botafumeiro incense burner that hangs in the nave of the transept and was originally used to mask the stench of medieval pilgrims. Sadly, unless you pay a substantial fee and arrange it in advance, it only swings on certain days and they didn’t coincide with our dates. We made do with the midday pilgrim mass, although I confess I didn’t stay for all of it. 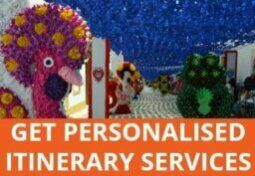 You can have your name read out during this service if you send a request in advance. 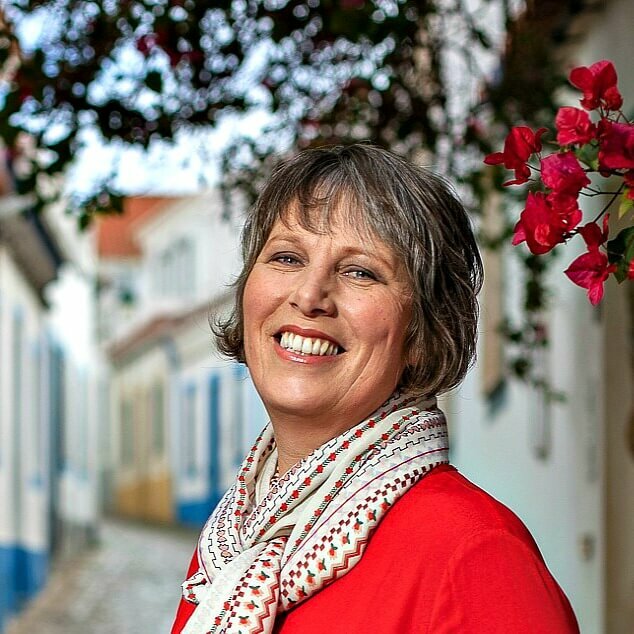 When we planned our Camino de Santiago, Dori and I knew we wanted to reward ourselves with a couple of extra days to recover and explore Santiago de Compostela at a leisurely pace. 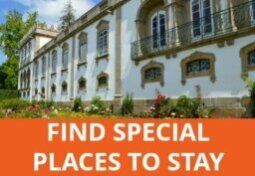 I’m so glad we did – find out what else there is to do in Santiago de Compostela. 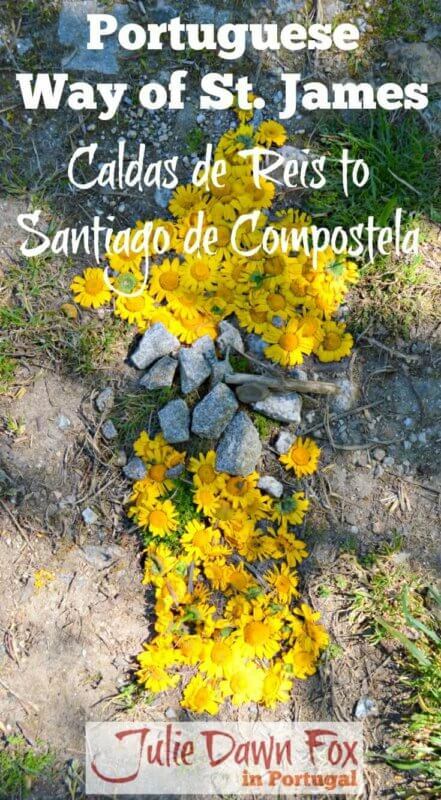 Thinking of walking the Portuguese Camino de Santiago? If so, read about the various options and stages here and start planning your own Camino. Note: As I mentioned in the article I wrote about preparing to walk the Portuguese Way of St. James, the biggest regret we had was not factoring in any rest days within our 10-day, 200 km stint from Barcelos to Santiago. 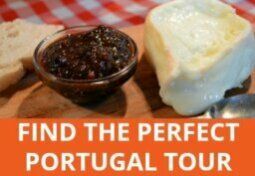 Although you can, in theory, walk from Porto to Santiago in two weeks, I’d add a few extra days in before, during and after so you can properly enjoy what northern Portugal and Galicia have to offer. The 10-day walk I did with Dori is not the whole of the Central Way from Porto. I’ve since been back to walk the first two stages so find out what they’re like in this article. I also walked the Coastal Route out of sequence and at different times of the year. Packing for a long walk? Subscribe to get a free copy of my handy packing checklist for the Camino de Santiago or other multi-day walks in PDF format plus email newsletters containing free insider travel tips and information about relevant products, services and special offers. Success! Now check your email to confirm your request and get your checklist. If you can't see my email, please check it hasn't slipped into your spam folder. My husband(68 yrs), 17 year old grandson, and I (70 yrs old) begin our walk Oct.1, 2017 from Tui, Spain. We are walking on own but having bags moved dayly from 1 hotel to next. I am so looking forward to this! Thank you for all your information. Wish us well. Hi Renee, Thank you so much for taking the time to say so. I’m very happy to have helped prepare you for this incredible journey. Buen Camino! I really enjoyed reading about your pilgrimage. It’s the closest I’ll get since I am reasonably sure I will never make the walk. So thank you for sharing such a lovely post. Congratulations on your accomplishments. I feel guilty having effortlessly journeyed with you through your pictures. What beautiful countryside! Quite an accomplishment, Julie! Loved following along on the last bits of the Camino with you, and am feeling inspired to consider taking this on at some point. Well done. I enjoyed trekking along virtually with you on your journey to Santiago, Julie. It looks like an amazing journey indeed. Thx for sharing! Really enjoyed reading about this trip. I hope to do it someday. Thanks! I would definitely recommend it, Peter. It took 3 years for me to make it happen but it was definitely worth doing. Absolutely, Jo. Although I did the Coastal route and the first two days of this central route in smaller sections, there is definitely something more rewarding and special about actually making it to Santiago after walking for several days. It marks an accomplishment and you have a sense of purpose, a tangible goal, that is missing when you only walk a few days mid-way through the route. Thank you so much fpr sharing. I really enjoy following your adventures.